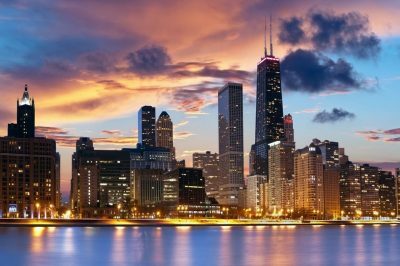 Apparently, a new sports betting bill could be approaching the surface in the US, and more specifically, in the state of Illinois over the weeks to come. It is still too early to guess what the fate of the proposed piece of legislation would be, but it seems that the sports betting landscape in some US states would be quite interesting. 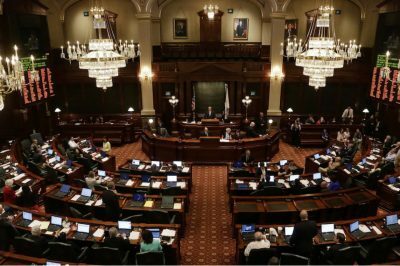 The latest possibility for a sports betting piece of legislation has emerged in Illinois. So far, the state has not made any considerable steps towards unveiling sports betting legislation, and the new possibility could turn out to be a major decision to be made for region. Just yesterday, the state lobbyist Steve Brubaker revealed in a Tweet that the Illinois House Deputy Majority Leader Lou Lang filed a sports betting bill called HB 4214 on January 4th. The newly-filed bill is focused on creating the legalization and regulation of Sports Betting Act. For the time being, it only contains only a short title provision. As mentioned above, currently sports betting is officially forbidden not only in the state of the Illinois, but across the country as well. For the time being, other forms of gambling, such as casinos, the Illinois Lottery, horse racing tracks and video gaming terminals are available to local residents. 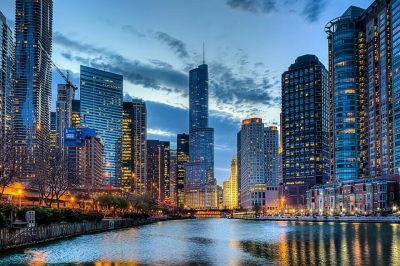 In case that the state of Illinois really decides to change its already existing gambling landscape, it would have to push for certain federal law changes in order to be allowed to offer sports betting activities. Such efforts have already been made by other states across the country. According to experts, this could happen until the middle of 2018 in case that the US Supreme Court makes a ruling in favour of the state of New Jersey in the latter’s sports betting case, and this would mean lifting the federal ban on sports betting. In 2017, another bill was filed in Illinois, seeking to make daily fantasy sports (DFS) and online casinos legal. The local Senate gave the bill the nod, but the proposed piece of legislation failed to make it through the Senate and eventually, nothing happened. It was Representative Michael Zalewski, who first came up with the idea of an all-inclusive gaming package roll-out in 2018, so it would not be a surprise if sports betting legislation and regulatory efforts are included into such a legislation package. So far, Zalewski has been known as one of the most fierce supporters of daily fantasy sports legislation across the state. The newly-filed HB 4214 bill could still be a project for the time being, but it comes to demonstrate local legislators’ willingness to take steps towards legalizing and regulating sports betting in Illinois. The main sponsor of the bill, Representative Lou Lang, has been previously involved in other gambling issues in the state.